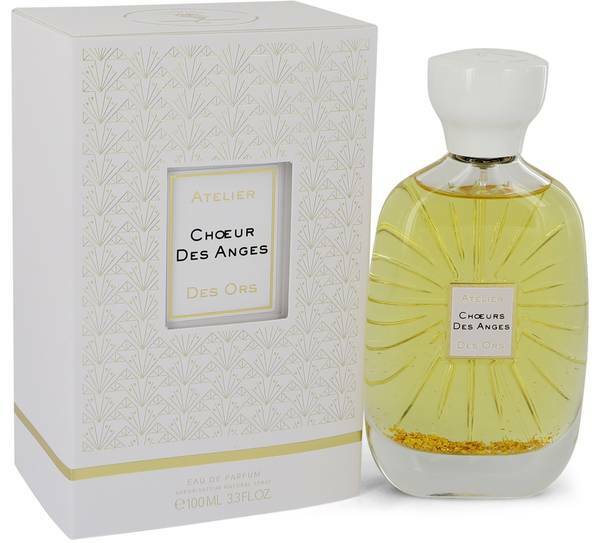 Choeur Des Anges Perfume by Atelier Des Ors, Launched in 2018, Choeur Des Anges is a poetic fruity, citrus fragrance for men and women . Fruity top notes of black currant, pear and blood orange evoke happiness. The heart is lyrical with notes of orange blossom, carrot seed and osmanthus. The base harmonizes the perfume bringing sweet honey, cedar and amber together. Inspire the voice of angels in your everyday life with a spritz of this sumptuous fragrance. As part of the White Collection, the Read More Read More perfume is inspired by the life of artists expressing their passions in their work. 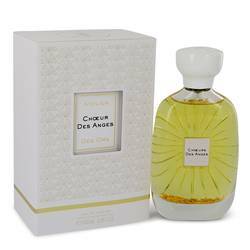 Atelies Des Ors is a newer French fragrance house utilizing the nose of Marie Salamagne to create the unique scents. Their signature bottles feature clear glass with sunburst etchings and golden liquid complete with floating gold flakes inside. The White Collection features three fragrances with a white cap and label instead of their standard black. Their perfumes are designed for both men and women. All products are original, authentic name brands. We do not sell knockoffs or imitations.